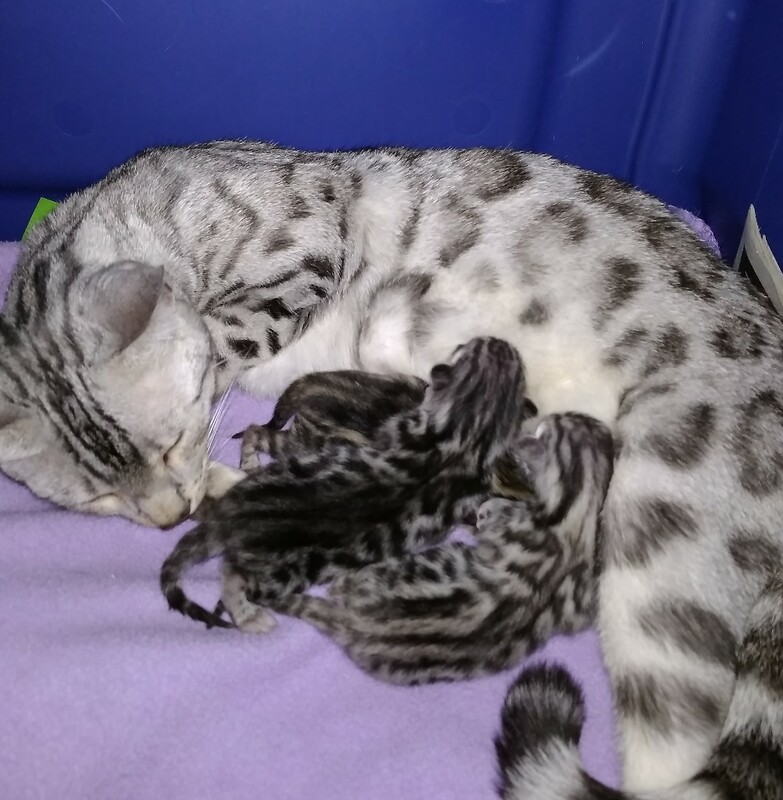 Our first litter of the month has been born! Blackstar is now the proud mom to 3 darling little ones! 2 silver (one male, one female) and 1 brown female. She did an excellent job for a first time mom and she and the babies are doing well! These are also Midnight Kiss’s first litter and we are very pleased with the results! 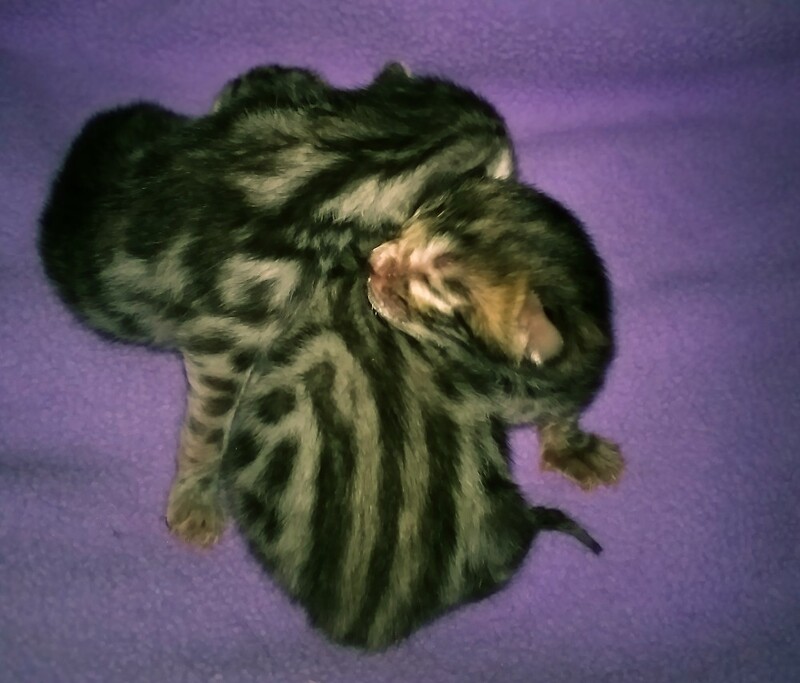 We will update you with individual kitten pictures next week. To see the individual kitten pages see the links below. 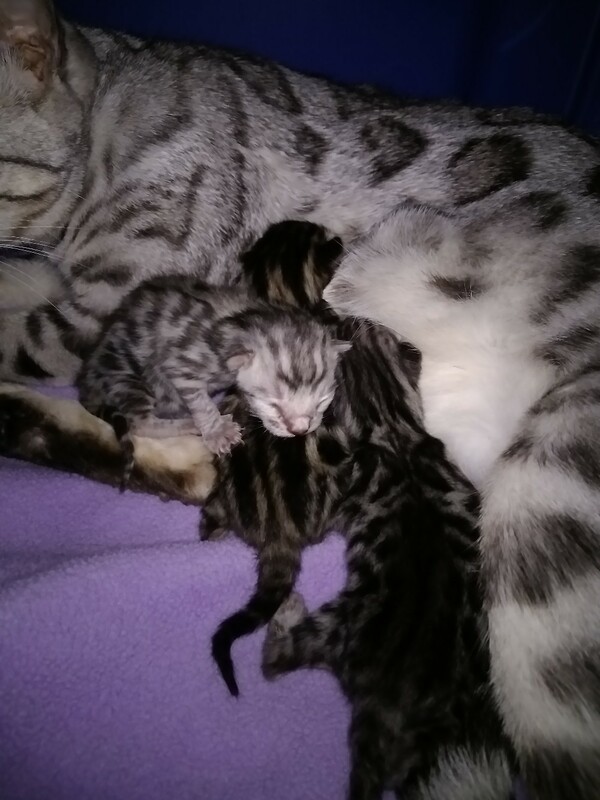 This entry was posted in Bengal Kitten Gallery and tagged bengal kittens, Blackstar, brown rosetted, Litter announcement, Midnight Kiss, silver rosetted. Bookmark the permalink.